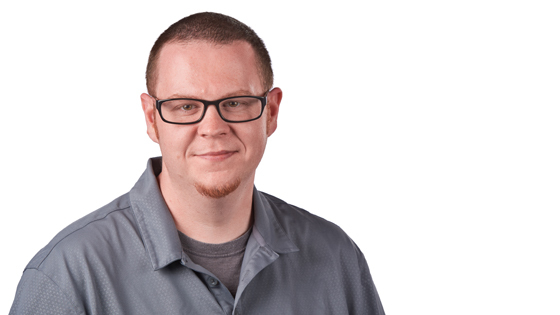 Aaron’s been with Puget Systems since 2017. He builds computers, operates our laser cutter, designs our GPU and CPU bracing and designs anything else we need whether it’s acrylic or 3D printed. Aaron believes every job he’s worked in prior to Puget Systems has helped prepare him for what he’s doing today. He’s worked in customer service, finance, automotive and retail, giving him valuable skills and experience he uses daily. In case you’re wondering, no, he’s not related to Kevin. The GTX 1070 is a great middle ground between price and performance. Not to be underestimated, this card is still more than capable of handing what an every day user can throw at it. If you need a simple source of audio to go with your new system the Logitech Z200 2.0 Channel 5W Speakers are a great option. I wouldn't use them for anything that requires dynamic audio or depth but they are great for every day solutions. The Cooljag Everflow 120mm PWM Fan is about as quiet as you can get. We use these along side the Corsair H60 CPU Cooler to ensure they cool the CPU as silently as possible. They don't look like much, but they do their job incredibly well. The Samsung 960 Pro 2TB M.2 SSD is an excellent choice if you're looking for the best possible option in storage drives. It's fast, it's got a huge capacity, and it's completely plug and play. No wires, no hassle. I use Noctua fans in all my personal computers. They are excellent at cooling and incredibly quiet. I've always been happy with the results. They don't dress it up or give it any fancy colors. This memory does what it's supposed to, nothing more, nothing less. I have personally been using Crucial DDR4-2666 for over a year on my personal computers and have never had to worry about the performance. It works as it should day in and day out.